KFC Japan is very helpful to their customers. Gaijin Tonic received an email from a friend about his recent dinner at KFC in Japan. After he placed his order, and sat down, he opened up his bag expecting to enjoy a piece of fried chicken, but was greeted by a piece of paper accompanying his meal. 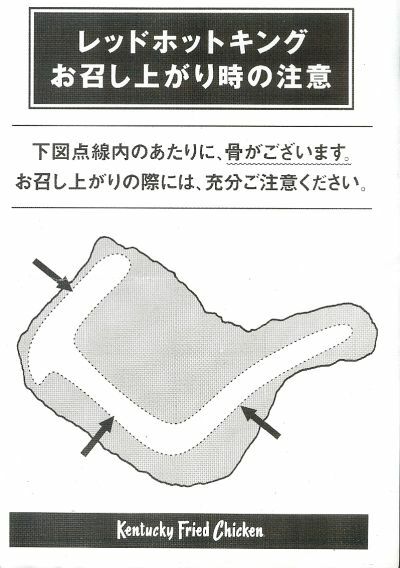 KFC Japan was so helpful that they included a piece of paper explaining where the bones were located so you wouldn’t accidently bite down on them. 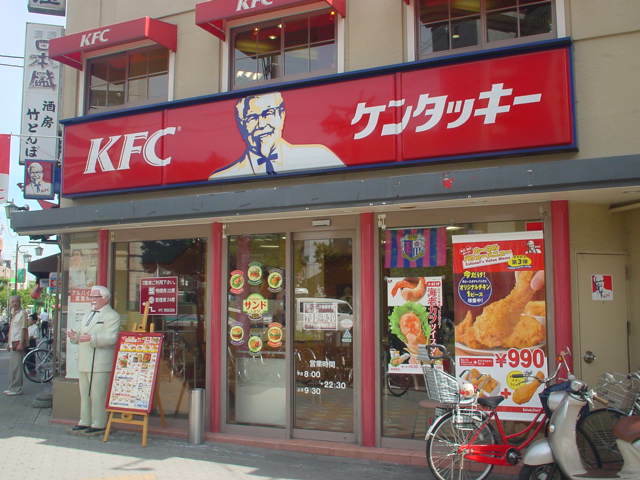 Now, fried chicken is hardly a new idea in Japan. KFC Japan’s busiest season is Christmas when Japan gouges itself on fried goodness. I wonder if they had a problem with people not knowing where the bones were… Via Gaijin Tonic.